Everyone loves a good book recommendation from a friend, but what about a book recommendation from a brand? It might surprise you to learn that many companies understand the value of reading, even though their business isn’t technically connected to books. Here are a few reading suggestions from companies that love reading just as much as we do. If you want to have hip eyewear delivered straight to your house, then there’s only one choice to consider: Warby Parker. They’re a brand that values new ideas, stylish looks, and keeping it intellectual. Their book suggestions will make you feel as smart as their glasses make you look. This shattering novel is filled with storytelling sleight of hand. What appears to be a story of mothers and daughters, of sisterhood put to the test, of adolescent love and grown-up misconduct, and of history’s long reach, becomes a provocative and compelling exploration of America’s failure to find a language to talk about race. In a mid-century American cultural episode forgotten today, intellectuals of all schools shared a belief that human nature was under threat. 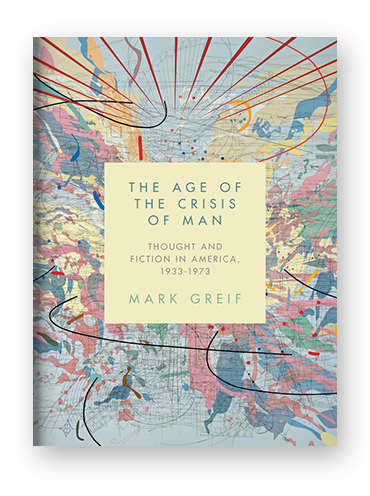 The immediate result was a glut of dense, abstract books on the “nature of man.” But the dawning “age of the crisis of man,” as Mark Greif calls it, was far more than a historical curiosity. In this ambitious intellectual and literary history, Greif recovers this lost line of thought to show how it influenced society, politics, and culture before, during, and long after World War II. A debut novel by a brilliant young woman about the romantic life of a brilliant young man named Nate Piven. After several lean and striving years, he has his pick of both magazine assignments and women: Juliet, the hotshot business reporter; Elisa, his gorgeous ex-girlfriend, now friend; and Hannah, “almost universally regarded as nice and smart, or smart and nice,” who holds her own in conversation with his friends. When one relationship grows more serious, Nate is forced to consider what it is he really wants. Chosen by the Elizabeth Gilbert, the author of Eat, Pray, Love, the book Invisible Cities is considered one of Italo Calvino’s best. The story follows Kublai Khan and the young Marco Polo talking at length. Kublai Khan has sensed the end of his empire coming soon. Marco Polo diverts his host with stories of the cities he has seen in his travels around the empire. In the classic style of Calvino’s unusual writing, Invisible Cities is a meditation on life, ambition, and death. Chosen by renowned philanthropist Melinda Gates, Change by Design, written by Tim Brown, CEO of IDEO, celebrates how the techniques and strategies of design belong at every level of business. Change by Design is not a book by designers for designers; this is a book for creative leaders who seek to infuse design thinking into every level of an organization, product, or service to drive new alternatives for business and society. Picked by actor and writer Rashida Jones, Me Talk Pretty One Day is a hilarious collection from David Sedaris. Compared by The New Yorker to Twain and Hawthorne, Sedaris has become one of our best-loved authors. If you’re looking for a good laugh, a quick read, or an emotional story from a true and honest writer, than Me Talk Pretty One Day is for you. More than an online shoe seller, Zappos is known for their legendary customer service. As such, they’ve set the standard in the professional world for interacting with real people. Whether you work in customer service or you’re simply interested in sharpening your communication skills, Zappos’ reading lists has something for you. How many countless working hours have you spent on projects, proposals, paperwork, and meetings that felt useless or were ignored or dismissed? Hard work is not the same as real work. Half of the work we do consumes valuable time without strengthening the short- or long-term survival of the organization. This book will teach you how to spot “fake work,” how to avoid it, and how to get past it. Who Moved My Cheese? is a simple parable that reveals profound truths about change. It is an amusing and enlightening story of four characters who live in a “Maze” and look for “Cheese” to nourish them and make them happy. Sure, it might sound a little silly, but in truth it’s a sharp and witty look at how to deal with change in both professional and personal settings. This book is filled with inspirational stories about finding gifts and talents in pain and tribulation. You’ll learn how to move past apathy and build a sense of confidence based around your natural talents that can help you improve your health, relationships, and careers.